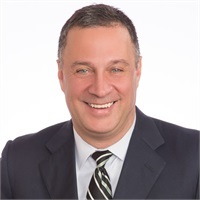 After graduating with a bachelor’s degree in finance from Michigan State University, Eric acquired over 25 years of professional experience working in various segments of the financial services industry including positions with investment firms, mutual funds, and insurance companies. The last 10 of these years he’s worked as a financial advisor with Cascadia Wealth Management. Eric specializes in retirement planning and wealth preservation strategies. Together with his financial planning partner, Kip Mechals, they advocate a conservative investment approach and employ tactical investment management to pursue their clients’ goals. This proactive management provides their clients with a strategic defense to help preserve assets in a declining market and an offense to take advantage of a rising market. The planning process encompasses in-depth needs analysis and customized risk assessment for individuals and business owners. Click here to schedule a meeting with Eric today.